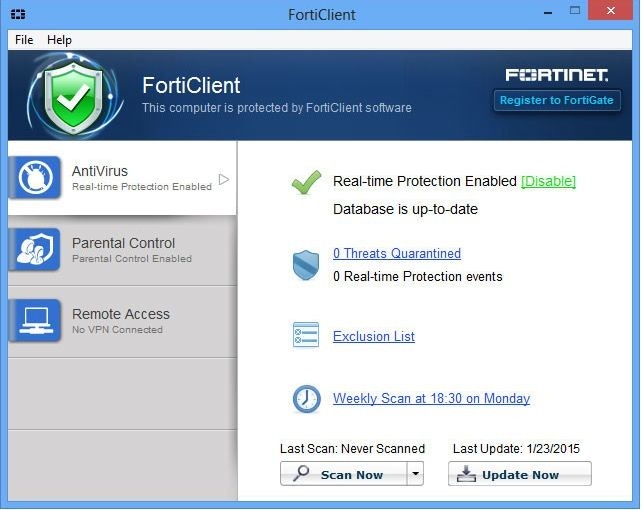 FortiClient is an effective and efficient top Free Antivirus which boasts of web filtering, a firewall, network optimization and parental controls. It also provides very good phishing detection and even includes a VPN Client. With no per-seat license fees, FortiClient with its on-access /resident protection enables users & guests to work efficiently anywhere, without compromising on their security. 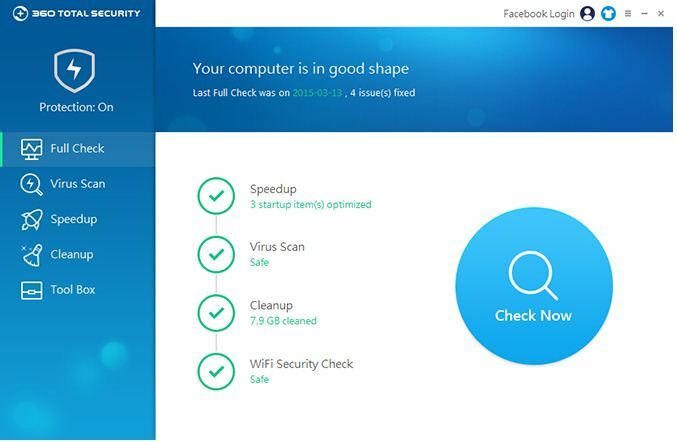 Although it’s designed to work with a network appliance, FortiClient 5.0 also functions as a standalone antivirus, with parental control and VPN client thrown in. Although the network optimization seems only to be effective for FortiGate Devices and it is also less effective at blocking certain malicious URL’s. Moreover, the functions of the VPN Client and Parental Control system are also limited. Lavasoft’s AdAware has been a pretty reliable spyware tool. It offers smooth installation, non-intrusive notifications along with detailed custom scanning. The UI of the latest version has been vastly improved as compared to the previous version. Several features have been incorporated such as Sandbox emulation, scheduler, and a command line scanner. That being said there is a lot of scope for development of the rootkit detection and phishing protection provided by the Antivirus. Trying to meet the expectation of the users, Lavasoft gave Ad-Aware Free Antivirus+ 11 a total user-interface makeover and a new antivirus engine partner. The new UI looks pleasant with a nice change. But looks like the product lost a little ground in malware blocking. 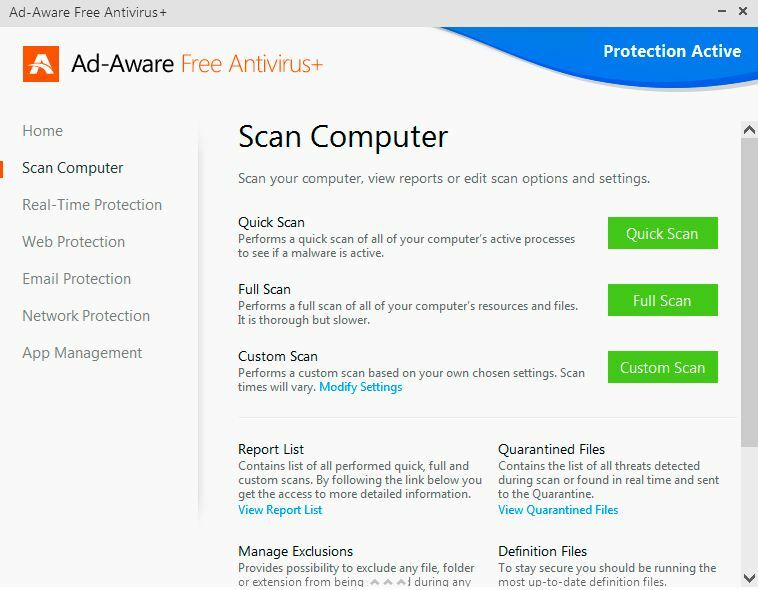 Adaware free antivirus made it to the 9th position in the list of best free antivirus for 2016. Based in China, Qihoo 360 offers a wide range of comprehensive, effective and user-friendly Internet and mobile security products aiming to protect the user’s computer and mobile devices against malware and malicious websites. Supported by cloud-based security technology, the 360 sets itself apart from all other best Free Antivirus software through the usage of three different AV engines comprising of Qihoo’s very own ‘checksum-based’ engine; a machine learning QVM engine and a BitDefender local engine. These comprise Qihoo’s own ‘checksum-based’ engine in the cloud; a machine learning QVM engine. It provides a sandbox too through which one can check out for the threats posed by unknown programs.The program lacks out in providing a parental control system, Firewall or Backup facility. Though Qihoo 360 Total Security Essential scores very well on hands-on tests and in tests by independent labs, but only if you change its default configuration to enable all antivirus engines since some of its features need to be enabled manually. 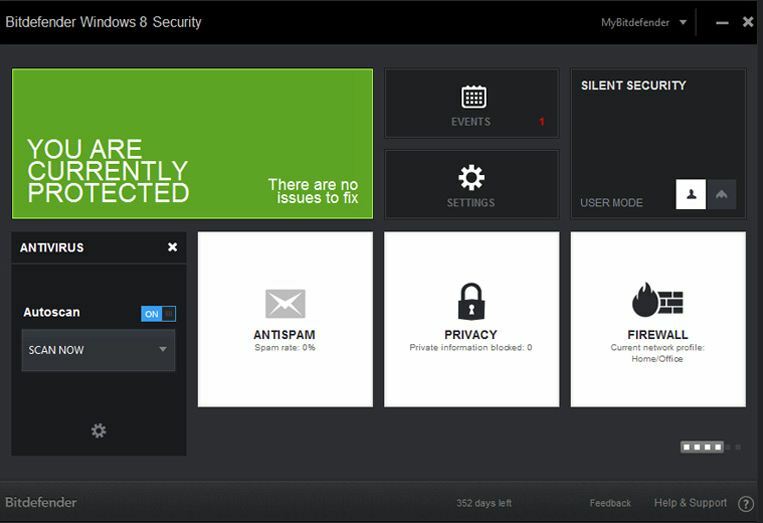 If you are one of the antivirus users who are intimidated of using technical computer inputs or afraid of the complexities of an antivirus which works more manually than automatically then, this Comodo antivirus is not for you. If we had to rate this antivirus upon the usage by the advanced computer users then surely this antivirus has galloped better positions. But, on the range of the overall scenarios, Comodo still need to automate more of its security features. 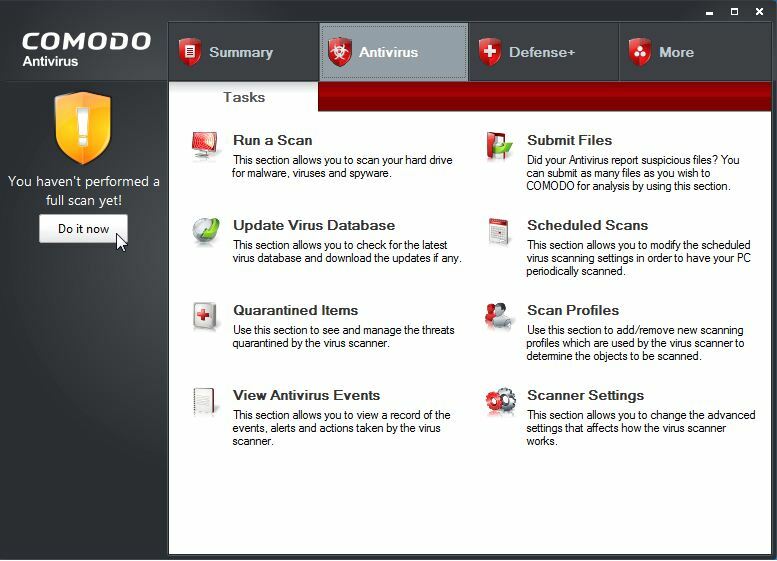 The Comodo Antivirus includes a full range of detection engines for viruses, rootkits, spyware and other malware. It uses Comodo’s proprietary Defense+ technology thereby guarding your system of all unknown files by treating them as a threat. It also provides On-Access/Resident protection, cloud-based protection, and an automatic sandboxing function. Since the program occasionally asks for User input it may not be suitable for amateur users. The Host Intrusion Prevention System and phishing protection still have a long way to go. Ranked as one of the best amongst the best Free Antivirus software, Avira boasts of exceptional detection and blocking rates. Its small footprint makes it ideal even for older PC’s. Offering seamlessly fast scans it also boasts of anti-malware protection, anti-spyware protection, browser protection and cloud-based scanning as well. Although one could find the interface too cluttered and the installation and execution process to be quite slow as compared to other Free Antivirus software. According to AV-TEST testing company, one of the best antivirus testing websites from Germany, Avira offers the strongest protection against both widespread and zero-day malware. But you might see a performance impact on your PC with this antivirus if your RAM is too less. But, Avira Free Antivirus’ effectiveness against malware and a good range of features — including a mobile portal and child-safety settings — make it the best choice for family PC. Malwarebytes is one of the most widely acclaims and highly appreciated malware detection solution. It is pretty small, lightweight and doesn’t require signatures as well. It also shields Java and perhaps is one of the most effective software against zero-day attacks that have never been seen before. One of the best features of MalwareBytes is the behaviour-based detection of the virus on a PC. The biggest drawback with it is the requirement for proactive antivirus software that can work alongside it. It just acts as a complement to your regular antivirus program. There is also a major lack of features in the free version as compared to the Premium version. But that being said, Malwarebytes still is one of the premier and most reliable products when it comes to catching the newest, most cutting-edge threats that other antivirus companies may not have caught yet. Definitely, AVG antivirus is one of the most popular best Free Antivirus software, AVG needs no reckoning. Furthermore, the 2016 version has been revamped to provide a better user interface, a cloud-based scanning system and the ability to block infected links besides the usual detection and eradication of viruses. It is also one of the smallest Antiviruses and also provides script malware protection. Besides, protection against the malware, it also provides website ratings which make makes it easier for a user to decide if the website is safer to access or not. The excess of advertisements may prove to be irksome. Phishing protection could be improved as well. 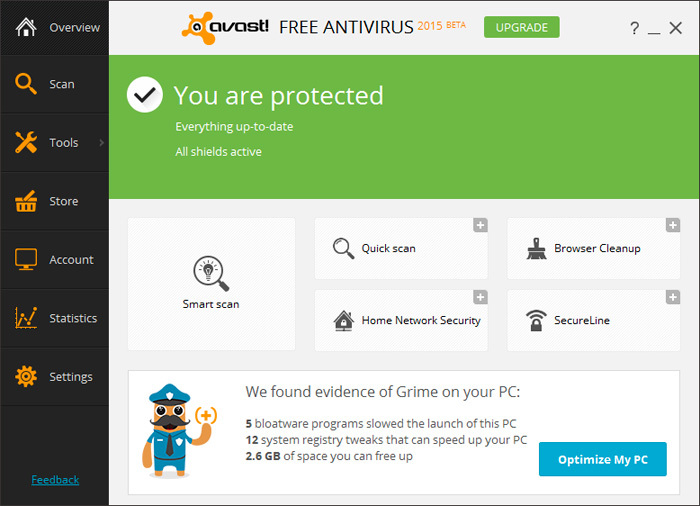 Avast Free Antivirus is known for its friendly interface, good performance and unique, if relatively sophisticated, set of features. However, only a friendly design not sufficient for ranking higher in terms of antivirus protection or extra features. However, you may want to consider Avast Free Antivirus if you already use other Avast products, such as Avast Free Mobile Security for Android. The BitDefender Free Antivirus is one of the most unobtrusive antivirus available on the Internet today. It provides for a Real-time Shield, Active Virus Control, Intrusion Detection, Rootkit scanning and HTTP scanning as well. The newly introduced feature of Profiles, which adapt the software for particular tasks like watching movies, playing games or general office work has improved its user-friendliness by a huge margin as compared to the previous versions. Moreover, it even includes online banking protection, a 2 way firewall and a parental control system. Although, poor technical support combined with the difficulties faced in installing on systems that are already infected by malware may cause problems to the average user. Its tiny main window and unobtrusive style are great if you want a strong, silent, and free antivirus solution. It hardly lets its presence felt over the computer. 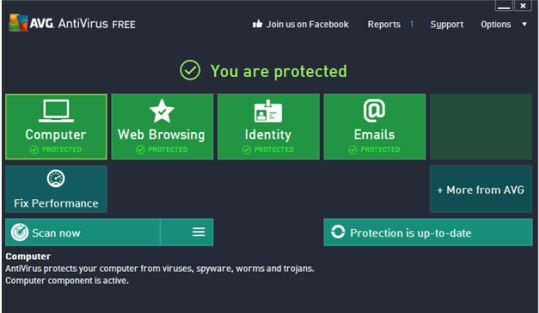 The Panda Cloud Antivirus takes Free Antivirus to a whole new level with its cloud-based scanner. The software is also lightweight and runs on a local cache when the network is unavailable. It offers effective phishing protection and impressive detection rates combined with top-notch rootkit blocking. With features like On-Demand malware scan, On-Access Malware scan, Phishing protection and malicious URL blocking, it does not only provide protection against different kinds of malware on a PC but also provides the best protection against the online transaction. Only not-so-positive side of this antivirus is that it will auto-quarantine files which it believes to be dangerous. It becomes easier to match your customer's records with the help of this software. This improves the quality of your data. Usually computers trip over or ignore if the records don't match. For instance a computer won't know that Mac and Mack is the same person. The system is not designed to identify the slight variations in the characters, but data quality software knows this. It uses many other parameters to check the identity of two persons/names.